The University of Washington is among the top schools on The Wall Street Journal’s newest college ranking: value for the money. 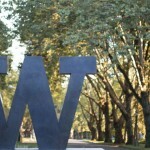 The UW was ranked third in the nation by the newspaper. 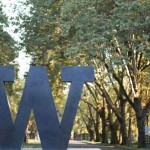 Lou Cariello has been named vice president of UW Facilities, University of Washington Executive Vice President Jeff Scott announced earlier this month. Cariello is scheduled to start in mid-August. 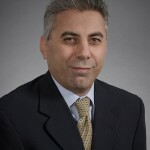 Dr. Gary Chiodo of Oregon Health & Science University has been appointed interim dean of the University of Washington School of Dentistry, effective Aug. 1, UW President Ana Mari Cauce and Provost Mark Richards announced Monday. 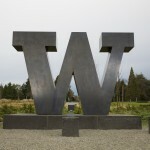 The University of Washington has been recognized as a “Great College to Work For” by The Chronicle of Higher Education for the fifth consecutive year. The UW received accolades in five categories. 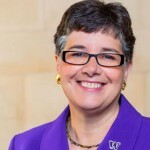 University of Washington President Ana Mari Cauce has been named one of 38 great immigrants by the Carnegie Corporation of New York. 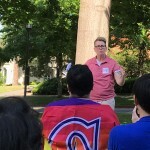 The University of Washington’s Jen Self will be one of three grand marshals of Sunday’s 2018 Seattle Pride Parade. 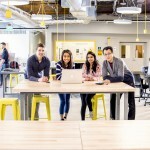 A team from the University of Washington’s GIX program are competing to win the $1 million Anu & Naveen Jain Women’s Safety XPRIZE. 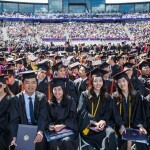 About 5,900 graduates, along with 50,000-plus family members, friends, faculty and other observers, are expected to attend the 143rd University of Washington commencement ceremonies at 12:30 p.m. Saturday, June 9, at Husky Stadium. 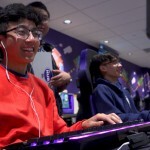 In an effort to improve the student experience and provide certainty for prospective computer science majors, the University of Washington’s Paul G. Allen School of Computer Science & Engineering is expanding its direct to major admissions program for incoming freshmen. 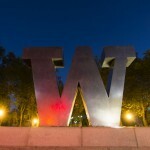 Beginning with the class of fall 2019, direct admission from high school will be the primary pathway into computer science for the majority of UW undergraduates. Assassinations. War in Vietnam. Racial clashes. 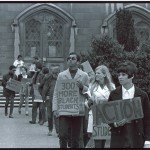 Far more than simply the generation who lived the Summer of Love, the Class of 1968, which celebrates its 50th reunion next week, recalled their college years during a turbulent time in the nation’s history. Eight decades ago to the day, the Faculty Senate met for the first time at the University of Washington. With the grand opening of the new $171 million Life Sciences Building just months away, it’s time to fill the building with faculty. That was the idea behind a $3 million Washington Research Foundation (WRF) grant to hire four biology professors. 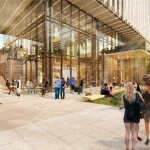 It’s called a cluster hire and will help maintain the University of Washington’s leading reputation in primary research and life sciences. It was spring 1968. A group of students occupied the University of Washington administration building calling for change: justice, diversity, agency for Blacks on campus. The presidents of four Seattle-area universities and colleges have joined forces to declare May 14-18, 2018 as Affordable Housing Week on their campuses. Dr. Jeff Wagnitz, interim president of Highline College; Dr. Daniel J. Martin of Seattle Pacific University; Steven V. Sundborg, S.J., president of Seattle University; and Ana Mari Cauce, president of University of Washington, have signed proclamations or otherwise affirmed the importance of safe, healthy, affordable homes in communities of opportunity. The higher-education institutions join King County and 20 King County cities, including Seattle, in recognizing the benefits of affordable housing to everyone in the community. 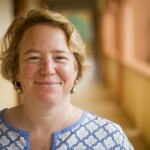 Hilary Godwin has been named the next dean of the University of Washington’s School of Public Health, President Ana Mari Cauce and Provost Jerry Baldasty announced today. 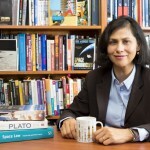 Her appointment, set to begin July 15, 2018, is subject to approval by the UW Board of Regents. 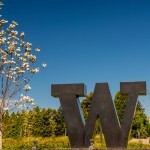 The University of Washington announced today it has reached agreement with a group of three plaintiffs in an Americans with Disabilities Act (ADA) lawsuit alleging violations in the University’s parking facilities on the Seattle campus. Parents don’t need to fear their children playing with iPads and other devices, researchers say. Mindful play with an adult, combined with thoughtful design features, can prove beneficial to young developing minds. New research shows that thoughtfully designed content that intentionally supports parent-child interactions facilitated the same kind of play and development as analog toys. A crowd of dignitaries gathered Wednesday for the official groundbreaking of the university’s new 290,000-square-foot Population Health Building, a facility that will house the Population Health Initiative launched by the UW in 2016. 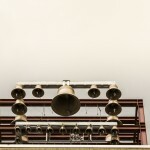 A new carillon — the only such instrument in Western Washington — will ring in full concert at the University of Washington for the first time Thursday. 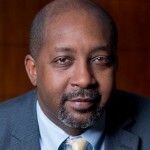 Mario L. Barnes has been named the next Toni Rembe dean of the University of Washington’s School of Law, President Ana Mari Cauce and Provost Jerry Baldasty announced today. His appointment, set to begin July 5, 2018, is subject to approval by the UW Board of Regents. 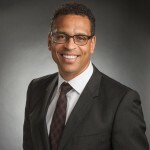 Dr. Benjamin Danielson, a 1992 graduate of the UW School of Medicine, a Children’s Hospital pediatrician and director of the Odessa Brown Children’s Clinic, will be the featured speaker at the University of Washington’s Commencement exercises Saturday, June 9. 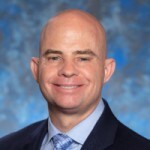 Brian McCartan has been named vice president for finance at the University of Washington, Executive Vice President Jeff Scott announced today. 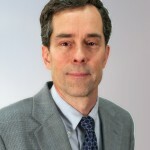 McCartan joins the UW after serving as the chief financial officer at Sound Transit for the past 11 years. He begins on Feb. 26. 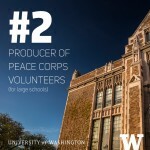 The Peace Corps today announced that University of Washington ranked No. 2 among large schools on the agency’s 2018 Top Volunteer-Producing Colleges and Universities list. There are 74 UW alumni currently volunteering worldwide. 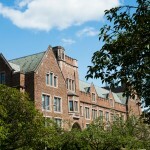 The University of Washington ranked second in the country in producing Fulbright Scholars. 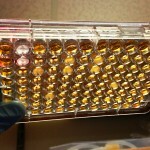 Fulbrights were awarded to 11 researchers at UW’s Seattle campus, and to three faculty members at UW Bothell. 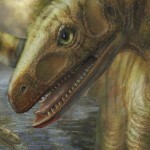 Newly discovered fossils reveal a lineage of animals thought to have led to dinosaurs taking hold in Tanzania and Zambia, many millions of years before dinosaur relatives were seen in the fossil record elsewhere on Earth. The stomach and intestines of certain Dolly Varden trout double to quadruple in size during month-long, salmon-egg-eating binges in Alaska each August. It’s the first time researchers have documented such fish gut flexibility in the wild. 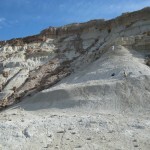 Species facing widespread and rapid environmental changes can sometimes evolve quickly enough to dodge the extinction bullet. 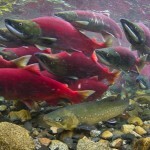 UW scientists consider the genetic underpinnings of such evolutionary rescue. 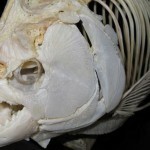 Taking into consideration size, an ancient relative of piranhas weighing about 20 pounds delivered a bite with more force than prehistoric whale-eating sharks or – even – Tyrannosaurus rex. 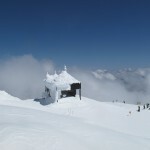 Microorganisms – 99 percent more kinds than had been reported in findings published just four months ago – are hitching rides in the upper troposphere from Asia. UW librarians acted quickly to eliminate bedbugs in books last August.